Rajasthan MBBS BDS Admission 2018 will be done on the basis of the NEET score. Candidates will get admissions in the MBBS and BDS Courses in all government (85% state quota including NRI) and Private (85% state quota and 15% management/NRI) Medical and Dental colleges in Rajasthan. 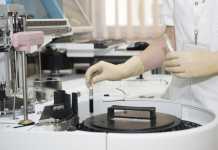 The admission will be controlled by the Medical Education, Government of Rajasthan for the courses of Bachelor of Medicine or Bachelor of Surgery (MBBS) and Bachelor of Dental Surgery (BDS). The seat allotment will be done by the Admission Board, State Government. The NEET score along with some relevant data has been provided by the Conducting agency of NEET 2018 to the Rajasthan State NEET UG Medical & Dental Admission/Counseling Board-2018. All the allotments will be done by this Admission Board constituted by the State Govt. comprising of all Principals of Medical/Dental Colleges of the state and others. During the process, the eligibility criteria, relevant documents, etc. of the candidates shall be verified and Medical/Dental College shall be allotted to the candidate according to the merit, the choice(s) filled by the candidate and availability of the seats as per the reservation policy of the state but the admission will be subject to verification of his/her documents for which the decision of the Principal of the concerned allotted college or the Board will be final. Latest: Provisional combined Merit List MBBS & BDS Admissions Only for Dental has been released. Scroll down to check the same. NOTE- Filling vacant seats after mop-up round– Filling of seats remaining vacant, if any, in Government Medical Colleges an Government Societies Colleges (Jhalawar, RajMES) / RUHS Medical College after mop-up round joining, shall be done at Academic Block, SMS Medical College, Jaipur between 28.08.2018 and 30.08.2018 Keep visiting the website for update. Click here to check Notice regarding Mop-up round 2 (only for Dental). Click here to check the important information regarding Mop-Up round of NEET UG 2018 Medical / Dental Counseling. Click here to check the revised notification regarding the second round of seat allotment for NEET UG (Medical / Dental) counselling(off-line). Click here to check the notification regarding reconducting of the second round of counselling. Click Here to check the Guidelines for preparation of Demand Draft for Round 2. Click here to check Notification regarding the second round of seat allotment. Indicative Seat Allotment of Rajasthan MBBS BDS Admission 2018 has been released by the officials. Candidates can check their allotment from the official website OR through the direct link which has been provided below. Click here to check the Provisional combined Merit List MBBS & BDS Admissions Only for Dental. Click here to check Provisional combined merit list (mop-up round 2, Dental). Click here to check Provisional seat matrix for mop-up round 2 only for dental. Click here to check Provisional seat matrix for the Govt. quota seats as on August 28, 2018. Click here to check Provisional combined merit list for counselling, Mop-up round. Click here to check Adjustment of earlier deposited DD and Revised Important information regarding DD (Round 2 allotments). Click here to check Important information regarding DD (Round 2 allotments). Click here to check Provisional seat matrix for the second round (off-line). Click Here to check the Provisional combined Merit List for Round 2 STA category as on Aug 08, 2018. Click Here to check the Provisional combined merit list for round 2 as on Aug 08, 2018. Click here for the allotment letter. Click Here to check the round 1 provisional allotment list. Click Here to check the Indicative Allotment. Click Here to check the fee details for allotment. The Senior Secondary examination or the Indian School Certificate Examination, which is equivalent to 10+2 after a period of 12 years study, the last 2 years of study must comprise of Physics, Chemistry, Biology / Biotechnology with English as compulsory subject. A candidate must have passed in the subjects of Physics, Chemistry, Biology / Biotechnology and English individually and must have obtained a minimum of 50% marks taken together in Physics, Chemistry & Biology / Biotechnology at the qualifying examination and in addition must have obtained minimum of 50th percentile and come in the merit list as a result of such competitive entrance examination (NEET 2018). In respect of candidate belonging to Scheduled Castes, Scheduled Tribes, Other Backward Classes and Most Backward Classes, a candidate must have passed in the subjects of Physics, Chemistry, Biology / Biotechnology and English individually and must have obtained a minimum of 40% marks taken together in Physics, Chemistry & Biology / Biotechnology at the qualifying examination and in addition must have obtained minimum of 40th percentile and come in the merit list as a result of such competitive entrance examination (NEET 2018). 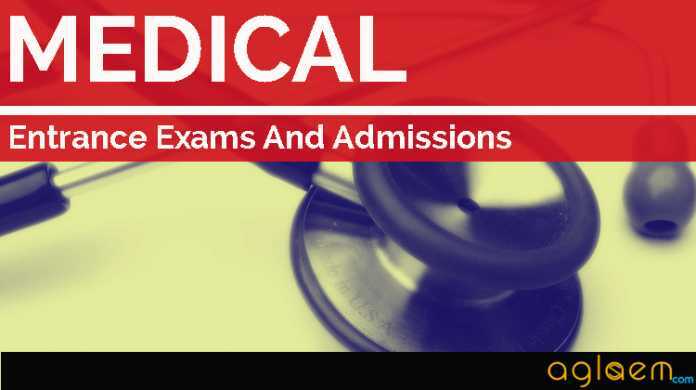 Before applying for the Rajasthan MBBS BDS Admission 2018 candidates must read the conditions for the eligibility that are mentioned above in the eligibility section. Application Form for Rajasthan MBBS BDS Admission 2018 has been released online at the official website. Interested candidates have to ensure their eligibility before filling the application form. Candidates have to fill the application form on or before its last date. Link to fill the online application form is listed below. A link will appear on the window, by clicking on that you will be directed to the State Medical & Dental PG Seats Allotments-2018. Go to the Registration Part I and start filling the registration form. Fill in the necessary details such as NEET 2018 roll number, Name, Father’s name, Date of Birth, category, Disability percentage, NEET 2018 marks, Class 12th percentage, Email ID and Domicile status. At the end select other eligibility criteria (any one). Submit the form after filling it and proceed to the payment of registration fee through different modes as mentioned above. Take a printout of Registration Part I form in which the basic details are mentioned such as registration ID, fee details etc. After completion of the above points and Registration ID and password will be generated for the respective candidate. Now candidate must complete the Registration part II in which basic details should be filled. Scanned photograph and signature in JPG/ JPEG format up to maximum 40kb size. Scanned copy of ST/ SC/ WDP/ WPP or PH category certificate if applicable in JPG/ JPEG format with maximum 150 kb size. 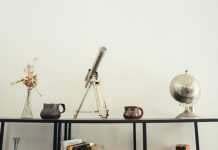 The next step is to fill the choices of colleges of your preference. After filling the choices candidates should press the save button. Candidates can also Modify or delete the filled choices or edit the registration form in part II before the final submission. After filling the choices, recheck the form and after reading the declaration press the “Final Submit Button” given on the page. Allotment of seats through on-line allotment process of all NEET qualified and registered candidates through NEET 2018 result shall be conducted for all the candidates who appeared in NEET 2018, strictly in accordance with the merit list prepared on the basis of All India Merit in NEET 2018, the order of choices / options filled in by the candidates in the on-line registration form (Candidates are advised to fill the choices very carefully after referring the Fees displayed at the time of choice filling and also College Information Sheet of the respective college). The allotment shall be processed based on the merit corresponding to minimum percentile obtained in NEET 2018 for all categories (as per MCI guidelines) and the order of choices / options filled in by the candidates in the on-line form. The selected candidates should bring the requisite documents in original (non-laminated) along with self-attested copies of documents for verification, at the time of admission to the allotted college, failing which their admission shall stand cancelled. The selection of the students to the Medical or Dental college will be based on the Merit of NEET 2018 according to the cutoff decided by the Medical Education, Rajasthan. The seats to the colleges will be allotted according to the merit list and after the seat allotment, candidate must pay the prescribed fee of the college he or she has taken admission into. In case candidate has any personal query regarding the Rajasthan MBBS BDS Admission 2018 they can directly contact the authority by the following number and email ID given below or they can simply comment below. 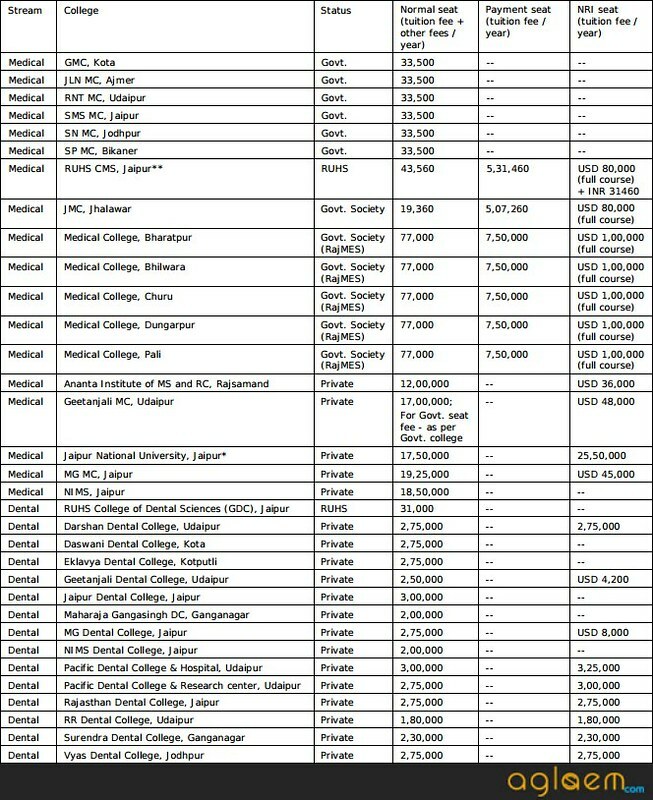 Following is the Fee structure of different medical / dental colleges. Click here to check Seat matrix as on August 28, 2018. Click here to check Seat matrix as on August 21, 2018. The seats of Medical/ Dental colleges Rajasthan will be allotted to those candidates only who have qualified the NEET 2018 with the following score and percentile. Candidates should also fulfill the domicile conditions of the state, they can fill and lock the choice as per the availability of the seat in the college respectively. Note: 15% seats are reserved for NRI candidates qualified NRI candidates can register and there is no restriction of the domicile status. For more details on Rajasthan MBBS / BDS Admission 2018, download Notification | Information Brochure. I dont have the Rajasthan domicile.. can i still apply for Rajasthan medical college, Kota?? Sure/mam, How much marks are need for admission in Sms jaipur or JLN medical college rajasthan……. my original mark sheet and certificates are laminated. What can I do – because at the time of admission college wants to non-laminated original certificates.